We all are traveller on this planet earth, we are here to experience the God's creation, let's travel around the world to enjoy nature and all its fascinating elements. Travelling to see and photograph wildlife fascinates me the most. I present before my readers my experience as a traveller and natural history destinations on mother earth. 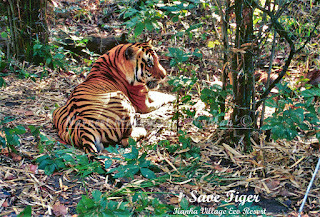 When visiting Kanha you need to plan your jungle safari excursions and here is where many get confused. Kanha has zones for safaris and entry is through gates but mostly we get confused for zones as gates. Safari in kanha is conducted by the forest department and tourists are permitted to visit only 4 zones – Kanha, Kisli, Sarhi and Mukki, in core area. 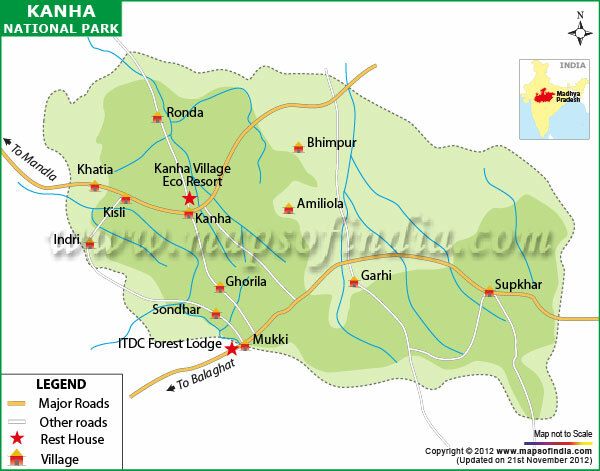 Along with we have 3 buffer zones – Khatia, Sijhora and Khapa, also available for safaris. Rarely visited by tourists, Phen Sanctuary is a satellite core of Kanha, leopard and sloth bear sighting here is very good. Kanha national park has many entries off which 3– Khatia, Sarhi and Mukki gates are open for tourists. · Khatia gate (also known as Kisli gate) is the main entry gate for excursions. If you are staying near Khatia gate (we have many resorts in Khatia, Mocha and Boda Chhapri villages) you can go to any of core zones for safari as well as visit Khatia buffer. · Sarhi gate is the northern gate and we can visit Sarhi, Kanha and Kisli zones from this entry point. Sarhi gate does not have good accommodation although Madhya Pradesh Tourism is coming up with a property here and forest department runs some home stays. Rarely anyone stays at Sarhi side so most entry to Sarhi zone is from Khatia gate only. · Mukki gate is best for entry to Mukki, Kanha and Kisli zones. · Entry to Khatia, Sijhora and Khapa zones are easily accessible from Khatia, Sarhi and Mukki gates respectively. 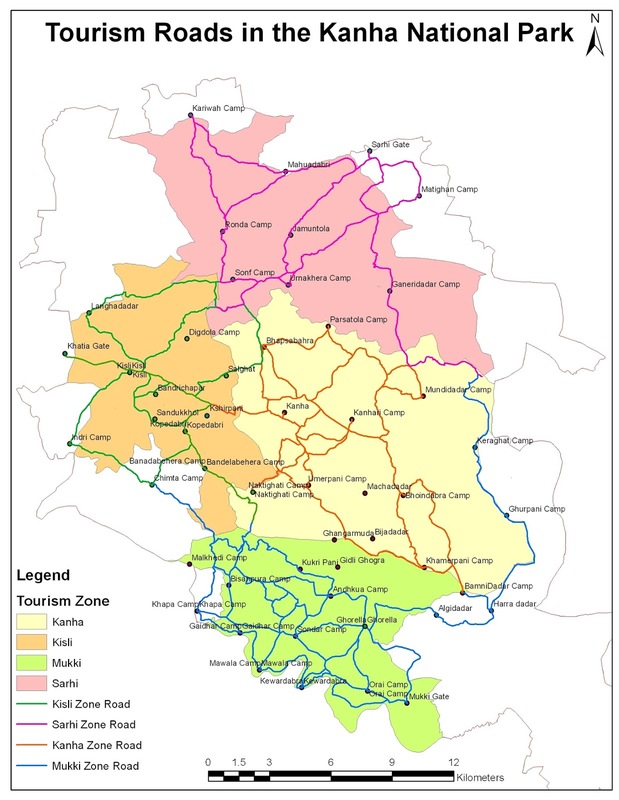 When planning a jungle safari trip to Kanha keep accessibility in mind, for gate as well as zone. If you are staying towards Khatia gate you can visit any of 4 core zones. Here you enter from Khatia gate, reach Kisli zone first and take designated route to reach your permitted zone. If staying towards Khatia gate we suggest not to take Mukki zone for evening rides as it is almost 45 minutes’ drive (although it is from inside the park / core area) since you have less time in evening excursions you will not get enough time in your designated zone. (The route we take to reach Mukki zone via Kisli zone and come back or vice a versa is one of the best for spotting tigers so if you are ready to take the risk, no issues there.) Remember, if you have booked your permits for Sarhi zone and staying at Mukki gate side you must drive down 40 Km’s (60 – 70 minutes) to Khatia gate for taking entry. Khatia gate is easily accessible from Jabalpur, Raipur and Nagpur. Mukki side is easy to reach from Raipur and Bilaspur. Sarhi gate can be reached from Jabalpur, Raipur and Bilaspur easily. Travelling from Khatia gate to Mukki or Sarhi gate takes almost an hour. Travelling to Sarhi gate from Mukki takes almost 1 hour 30 minutes. 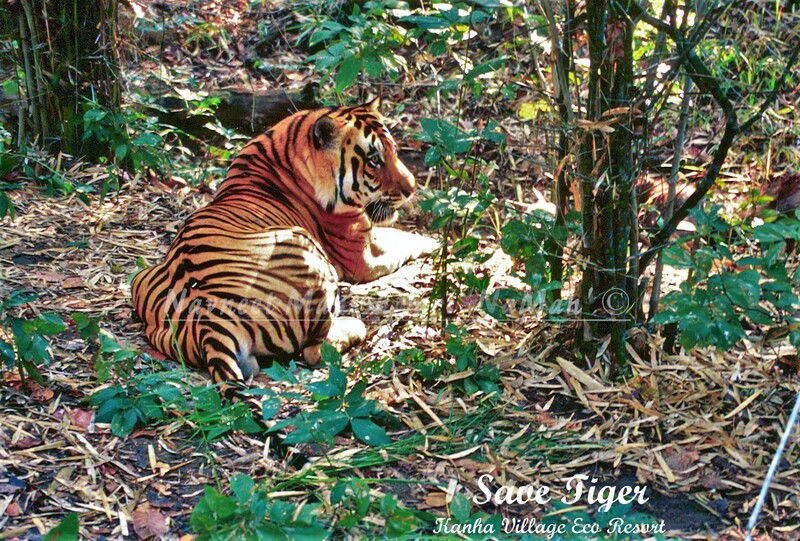 A very common question from visitors is: Which is the best zone for spotting tigers in Kanha? A very difficult question to answer because sightings change due to many reasons but certainly Kanha and Mukki zones will come on top followed by Kisli and Sarhi. These are suggested safari itineraries for Kanha and different combinations can be worked out. 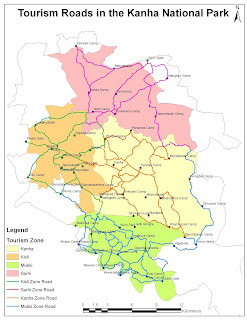 Do keep in mind before finalising the zone or booking permit for safari in Kanha do call your accommodation provider, check on social media or talk to someone who resides in Kanha (Guide / Gypsy Driver / Naturalist), you maybe suggested a different safari itinerary as per sighting and availability of permits. Also, we can only suggest but there is no assurance of spotting tigers since they are free roaming animals, tracking them takes a lot of hard work and experience and certainly your luck plays a big part here. Hope the above will be helpful in better planning, making your jungle holiday toKanha an enjoyable and memorable experience.